As my son turns another year older today I’ve been enjoying the memories of his many past birthday celebrations. In my mind’s eye I can recall the warm colors of fall always in the background. In honor of TJ I’ve created some palettes of autumn inspired colors that remind me of him. While fall colors are often very brilliant the more muted hues are the ones TJ likes best. The earthy browns, and oranges are colors he often chooses to wear and for his bedroom he picked a luscious latte brown. This photo of fallen leaves captures his colors. The photo with the acorn is a combination of hues that I would also call TJ Colors. This scheme is similar to the one above but includes a blue tone that remind me of his favorite sailing shirt, our well-worn leather sofa (his favorite place to relax) and a pair of comfy blue jeans. The blue tone complements the warm orange and brown hues. The color palette was taken directly from the sunset photograph. The color combination inspired by the golden shimmering pond is warm and inviting. If you want to use a photograph of nature as your inspiration. You can use Pic2Color or a similar tool to help you to pull out the color palette but keep in mind that it will include a range of colors and values. This is a good place to begin but don’t simply use the hues the tool gives you and try to match them to paint chips. What you are going to want to do is look to these for inspiration and then chose values of the color that will work as interior paint. There may be colors you want to add and some you want to eliminate completely. 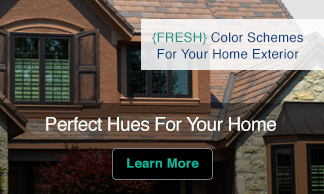 In this case they may want to eliminated the blue altogether and go with more muted shades of each hue. Can you begin to see how this translates from photograph to color scheme and finally to colors for your room? 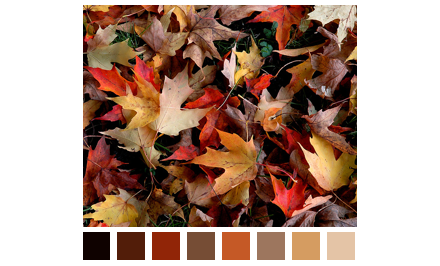 Have you ever used a nature photograph as a starting point for a autumn inspired paint color scheme? Did you adjust the colors or just feel limited to ones that matched those in the photo? Did I explain this in a way that gave you a new idea or way of approaching developing a color scheme? My son will turn 21 on Sunday, 10/19 – so his birthday also reminds me of the beauty of fall and all it’s colors. For so many years we celebrated his birthday by picking apples, picnicing in the mountains, horse back riding or carving pumpkins! He’s an outdoorsy kinda guy – so fall is naturally his fav season! 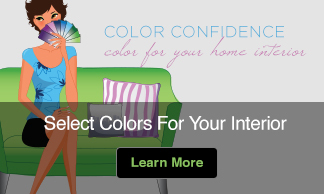 I love the valspar picture to paint color to room idea – certainly makes it more fun to decide on your color scheme! Cherie, It seems we are both blessed with wonderful memories about this time of year. Thanks for sharing how you celebrated with your son. Color is a part of our lives especially in our memories. Our life is a very colorful journey towards what are the things that makes us happy. We hate Life sometimes and it’s a kind of color that we hate, but when we learn to love life we can say that we have a colorful and wonderful life. 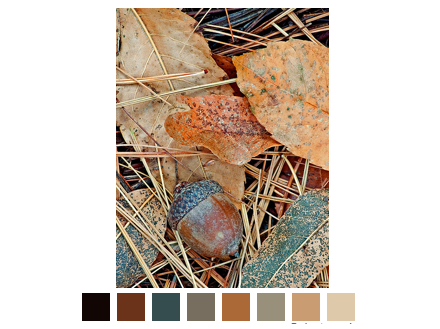 I love the acorn photo – beautiful palette – I think enhancing those colors with a turquoise or fuchsia accent would look gorgeous.